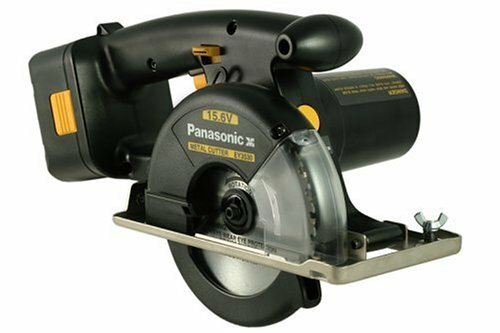 I've owned or used a lot of cordless drills, from Black and Decker (ugh), Porter Cable, DeWalt, Milwaulkee, Makita and others, but I'd never heard of the Panasonic until a friend who does a lot of decks introduced me to it. He was using the earlier 12 volt model, but everything I discovered in using that drill applies to this one as well. Panasonic isn't thought of as a power tool company, but their cordless drills are the best I've ever used, bar none. They've got the fastest recharge rate- 15 minutes- and that translates to more time drilling and less time recharging. It also translates to longer battery life; the less time spent charging, the less the heat buildup, and that's what kills these batteries. I know my friend has been using his on a daily basis for over five years with the original battery. The Panasonic drills also seem to get more useful drilling out of a single charge, something that recent tests by one magazine confirm. My current 1/2" Makita is still going strong, but if it should happen to give up the ghost, I'm replacing it with a Panasonic. 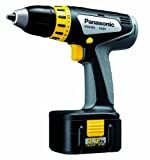 I purchased the original 3.0 amp-hour 15.6 drill in winter 1999. The drill has always perfomed flawlessly and easliy had the best run time in comparison to 12 volt Makita's and 14.4 volt Dewalts I had used previously. I built two small boats out of white oak with this drill (all drilling and screwing) as my only drill. This included numerous 2 1/2" hole sawing through 3/4" particle board temporary framing. The drill is awesome. My "but" comes with the battery life. Both of my batteries were shot by early 2002, with a total life of just over 2-1/2 years. There is no way I put 1,200 charge cycles into these batteries, more like 2 charges per battery per week. The run time usually last for almost a full day of boat work. That equates to approximately 260 charges. I dont know why Panasonic is advertising 1,200 charges I know my previous 14.4 Dewalt was slightly better for battery life, but the old Makita was much better. 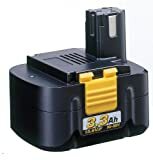 Is it the Ni-Mh battery that does not hold up over time, or maybe the batteries should always be inside, not in the varing temperatures of the garage. With that said, I will be purchasing the new 3.5 amp-hour version. I just get irked that 2 replacement batteries cost as much as the whole new kit. 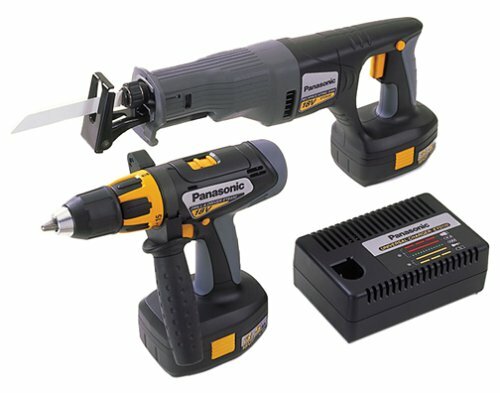 Panasonic should make new batteries more affordable, because now I have two great drills and chargers, but only 2 batteries. Yup, bend over for the "lord of the landfill". One of the top tools I have ever purchased. Runs like a sewing machine. Plently of power, it has never stalled out, and I have been using it for over one year. The chuck is excellent. The drill is light weight and easy to hold over long periods of time. Amzingly powerful, I've never been able to stall it. I have yet to run a battery dead, even after heavy use, I just recharge 'em anyway, and they don't lose charge when idle. I misplaced it in New Jersey, and was without it when I needed to drive some screws. All I had at hand was my good 'ol Milwaukee half inch, corded. I sure missed the light weight and power of the Panasonic and the instant electric brake. The huge motor of the "big Red one" seemed to coast forever after releasing the trigger. The Panasonic has so much power, I'll not need a cord drill ever again. I've been using cordless drills since they first came out 25yrs ago. I've had 7.6 volt skill, 9 volt B&D, 12 volt skill, 12 volt bosch, 14.4 Riobi, 14.4 DeWalt and 18 volt Bosch and the 12 volt Panasonic is the best. It's light and the batteries hold a charge longer then any other. I use my drills all day everyday and I have to change from driving screw to drilling holes and this drill works and it doesn't wear out you arm. What more could you want. Yeah it cost more but you get what you pay for. Best Drill you will ever buy! After going through a couple of medium priced off the shelf drills that either locked up or were too heavy to use comfortably in a days work this one proved to go the distance! Lightweight, very quiet, easy to use, and super powerful! One year old and going strong! BEST DRILL EVER! 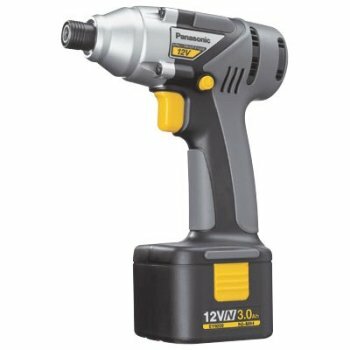 Panasonic makes good cordless drills/drivers. They are well designed and last a long time. Probably the best 2 things about them is the flawless chuck design (holds even the smallest of bits in place without coming loose), and the long 3.5Ah runtime batteries. That said, they are more expensive than other brands. I ended up with a Makita 14.4v. It was a much better value for the money especially because as of this writing, Makita is offering some attractive rebates. Also I liked the feel and balance of Makita better. The Panasonic has a huge and heavy battery while the Makita's battery is lighter (but probably doesn't last quite as long). Subsequently, the Panasonic felt like a brick was attached to the handle. Also, the case that comes with the Makita is much better-more sturdy and better designed (although larger) than Panasonic's cheapy case. Further, the Panasonic battery charger is much larger than the Makita one. This kit comes complete with the drill, a black plastic hard case, 2 batteries and charger. 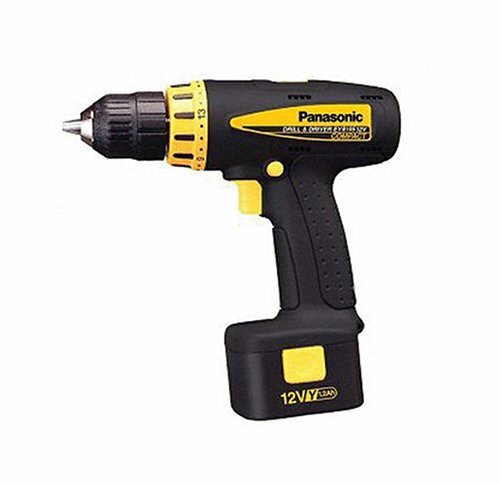 Having used and worn out cordless industrial drills from AEG, Bosch, Black & Decker (DeWalt), Milwaukee, and Makita, I conclude that Panasonic (my several-years-old 12volt version of this one, with NiCD batteries) beats 'em all hands-down for quality, versatility, and long life. The 15-minute fast charge option (now 20 minutes as the batteries have aged) has been helpful at times. The 21-stage friction torqe clutch has been consistent, unlike Bosch's misbegotten electronic torque limiter design. Most important, though, in my opinion, is the automatic spindle lock and SUPERB chuck that grabs and HOLDS bits without slipping, unlike every other keyless design I've used on portable drills. When this baby bites the dust, Panasonic will again be my first choice for replacement. I bought this unit a few weeks ago and am very satisfied with it. But this is my first cordless drill, and I've used it only for relatively light-duty projects around the house, so take my comments with those caveats in mind. I've found the weight, torque, and comfort in the hand are all excellent for me. Some people I've shown it to have commented on the whine it makes, but but I don't think it's any noisier than other drills, just different sounding. I took off one star because the trigger doesn't give a continuous range of speeds. It starts well at slow speeds, but tends to "kick over" to a very high speed with no transition as the trigger is pulled back. This happens in both the Low and High switch settings. That can be disconcerting. I've had the older model of this drill with the NiMH batteries for several years. It was my second Panasonic. Previous one was the 14.4 volt, and I used it so much the batteries wore out, but not the drill. I've had Bosch (chuck wobbles), Porter-Cable (poor quality), and Milwaukee (great, but trigger pinches your fingers), etc. Panasonic is the best by far. Pros: chuck holds even the smallest bit, excellent balance, really durable, light but powerful enough that if you need more get a drill with a cord or an impact driver. If I had to do it again, I'd go with this Ni-Cad model because it holds a charge longer than the NiMH and is cheaper, although the run time is less. 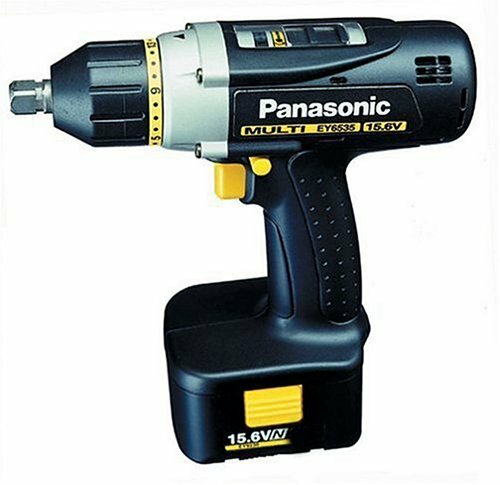 RPM: 1,550 rpm, BPM 28,000 """
I'm a weekend warrior but use my Panasonic cordless drill nearly every week. I've had if for more than a year. It works very well. Battery life is excellent, I will ALWAYS try to buy NiMH batteries in the future. They are far superior to NiCd batteries. (Battery life is such that I rarely have to change batteries on a weekend project. There is no "memory effect" on the batteries so I don't worry about fully discharging a battery before recharging it.) The drill itself works great. The one hand keyless chuck is very easy to use. The clutch works well. Two speeds, fast for drilling, slower for driving screws are appropriate. Size/weight/power/controls are perfect for me. (I'm an average size guy.) If I had it to do over, I would have purchased the Drill/Driver combination with the circular saw. Saw is not available w/o batteries & charger like other brands. If it were, I'd buy it in a second! Are you listening Panasonic/Amazon? I have done over 30 years in the remodeling trades. I have always preferred compact drills to larger ones. I have used many of the different cordless drill models; mostly because the batteries wear out and it is always cheaper to get a new drill with two batteries than it is to get two replacement batteries. I have had this drill for nearly a year now and the batteries are still working. The drill itself is light, powerful, and it has a precise feel to it that pleases me. It compares favorably to many of the 18 volt drills I have used but it is lighter and smaller. I should mention that I have never owned or used a cordless drill that I didn't like, but that being said, this is my favorite to date. 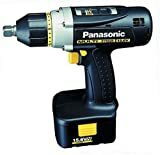 ,powerful as an 18 volt model.I have used cordless tools from every major manufacturer and panasonic is the best.If only panasonic made electric tools!Panasonic never promote tools in the uk and as such there are very few stockists. The tool: This just feels right in your hand, it doesn't tug your wrist. The chuck is much better than my old one as it ratchets in both directions. The chuck on my old tool would loosen up when I was breaking and extracting a bunch of sheet metal screws. I never ate a clutch, unlike the DeWalts our construction division bought. We'll see how this one holds up with the extra power (I've only had it for a few months). When I get into sheet metal on our equipment, I appreciate a light tool, I'm getting old. This tool weighs more than a 12V, but I can do the repetitious work without fatigue. With the higher voltage tools I need 2 hands after a while. I have a 12V at home that I DID buy from Amazon (model EY6407NQKW) xlnt. I'm a heavy equipment mechanic/power generation technician and fully expect my 15.6 to last to my retirement in 4 yrs. This is an excellent drill. 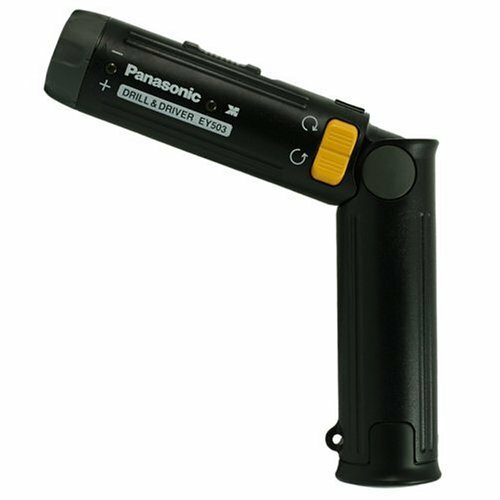 At 12-Volts this Panasonic packs plenty of punch, and maintains constant speed under load. The finish is excellent and all parts fit together snugly. 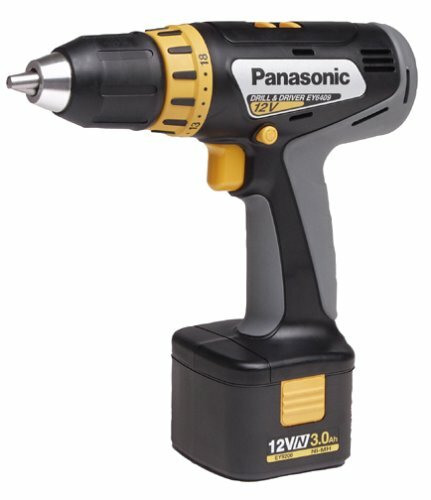 This drill has just the right weight and size, and fits comfortably in your hand. The Panasonic kit comes with two 3.0 amp batteries so you always have one in the ready. My battery lasts a full day with heavy use. I bought the Panasonic to replace a 12-V Makita. The Panasonic has more power at the same voltage (the 3 amp batteries). Small drill bits will not spin in the chuck!!! The electronic brake is also excellent, althought this can't be good for the brushes. No problems so far. My only complaint is that the trigger needs to be more sensitive/responsive. It slowly increases RPM's as you depress it, and then goes right to full speed. Overall, I highly recommend this drill for all general tasks. It will out-perform other 12V drills, and is just the right weight to carry around or for working overhead. Perfect combination of weight and power. I bought this model about 6 months ago and am impressed with its ergonomics,weight, and decent power. I was looking for a new cordless to add to my collection of drills and narrowed my choices down to this drill and the 12 volt Makita 6217DWDEX. The Panosonic is about a 1/4 lbs lighter- at 4 pounds, has a 1/2" chuck versus a 3/8" chuck, and comes with 3amp ni-mh batteries versus 2.6 amp ni-mh for the Makita. Why a 12 volt? Because of weight. What's been happening to cordless drills over the last 2-3 years is ridiculous. 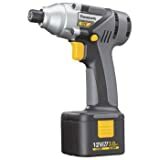 The 18 and 24 volt models are now weighing in at around six pounds, are a foot long,and cost twice as much as a good quality high amp corded drill. Torque? How much do you need? More on that later. 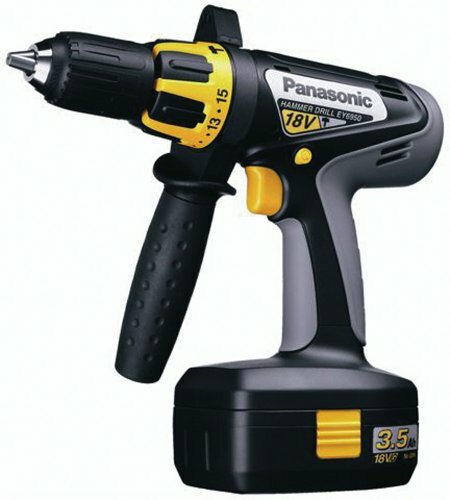 Anyway, let's talk about this Panasonic drill. The build quality is excellent. The seams line up perfectly, decals are put on straight, and there were no flaws in its apperance. The grip on this drill is made of a "grippy" rubber which prevents slippage if your hands are sweaty. This "grippy" rubber handle runs up the back of the drill. This could provide a little bit of cushioning protection if you accidentally drop the drill onto a hard surface. The 1/2" keyless ratcheting chuck grips bits very tightly. I haven't had any round shank drills spin on me. I checked the run out of the chuck with a gauge pin and Starrett test indicator and obtained a reading of .004" runout. Quite acceptable for a hand held drill. The 3 amp batteries have ventilation slots in the bottom. This is an important feature because the number one enemy of batteries is heat. Excessive heat will kill batteries. This heat is generated when recharging batteries or if the tool is under a very heavy load. The battery life is excellent so far. I've driven over 300 number 12 screws, 2", on a single charge into treated deck lumber. I've also used a 1 inch spade drill to drill through several 2" thick floor joists and the drill hasn't bogged down. One thing I did notice is that the drill handle gets hot under extended use. The battery doesn't get hot, just the handle and the bottom of the drill housing. This concerns me a little. Heat kills motors eventually. I'll have to keep an eye on this. The batteries have an excellent "shelf life." I've left one of my batteries in the case without charging it for 4 months and it still has a strong charge. On to rpm, torque, and the clutch. This drill like most has two speed ranges-low, up to 400rpm and high, up to 1300rpm. The trigger on this drill is average. What I mean is that once the trigger is depressed about 2/3rds of the way the drill kicks into maximum rpm. I would like to have a more sensitive trigger. This is my only major complaint about the operation of this drill. By the way, the electric brake on this drill is fabulous! It stops the drill so quickly that the drill actually twitches in your hand when you release the trigger. It's instantaneous! There are 18 clutch settings. The clutch collar clicks solidly when adjusting the clutch and doesn't jump out of position. The torque rating on this drill is advertised to be 293 in. pounds in low gear with the clutch locked out. This is wrong! The actual torque is 199 in. lbs. The 293 in. lbs. is what Panasonic calls its "free load" torque. This "free load" torque is based on mathematical calculations that consider the gear train, magnets in the motor, electrical motor efficiency, and amperage provided by the batteries. It's a theoretical measurement. Under load-when work is actually being done- the actual torque is about 30% less than the advertised torque. What! Don't worry, Dewalt, Makita, Bosch, and Milwaukee, all the premium brands, advertise in the same manner. It's deceptive and unethical (part of the "torque war" that's going on right now), but helps to explain why when a group of 12volt, or 14.4 volt, or 18 volt drills are tested, they are all nearly identical in performance. Some may drill a few more holes, some may drive a few more lag bolts, but the results are pretty close to each other. I knew the torque of this drill was less than advertised before I bought it and wasn't too concerned about it. 199 in lbs. will easily twist the heads off of 10# wood screws if you don't pre drill holes- I've done that. Here's a tip. Whatever the advertised torque is on a cordless drill- subtract 30% from it to get the actual torque. One last comment about torque and this Panasonic. This drill has a feature called "full torque speed control." This means you get the same amount of maximum torque in low range with the clutch locked out no matter how far you depress the trigger. You get the same maximum torque at 70 rpm as you do at 400rpm. This provides great control when driving fasteners. You don't have to "open up" the rpm's to get that extra torque to seat a stubborn screw or lag bolt. My final conclusion about this drill is that it is well built, lightweight, has enough torque for 95% of your jobs, and has unbelievable battery life. 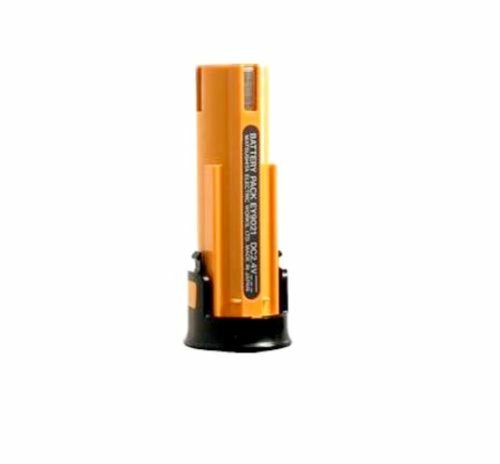 Why lug around a 6 pound 18 volt or 24 volt drill all day when a compact 12 volt will handle almost any fastening or drilling job you encounter? 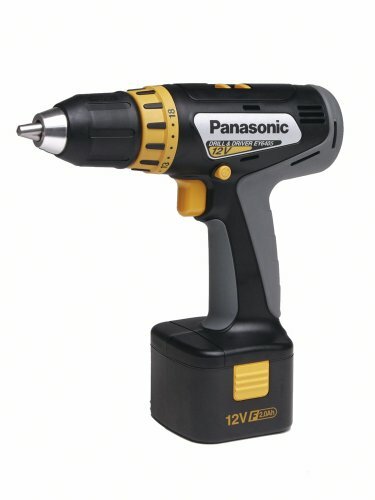 I see a lot of electricians and hvac people use Panasonic 12 volt drills, and I understand why. Nobody wants to stand on a ladder and hold some behemoth drill overhead all day. I would rate this drill as 4- to 4 1/2 stars. 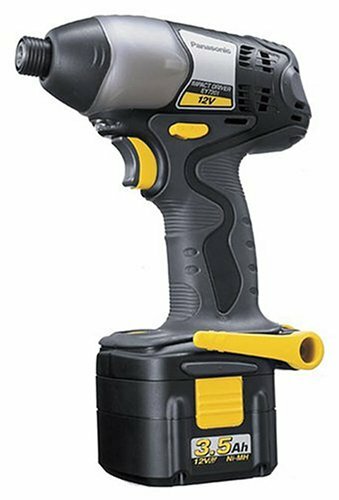 I think the trigger should be more sensitive and I am a little concerned about the drill becoming hot under extended use, but I think it has the best combination of weight, ergonomics, battery life, and torque of any compact drill on the market. Well made replacement for older model Panasonic 12v which lasted 7 years - - the trigger operation does jump from very slow to fast rather abruptly - I would prefer a more gradual, smoother transition. This electric screwdriver is worth about 9.99 and is overpriced. If you are in the market for an electric screwdriver for home or work you need to put one of these in your hands. Use it once and you'll see what all the rave is about. You CAN NOT be disappointed with this purchase. You better hope it never breaks. Panasonic repair center will not offer service to repair it, even though it is their product. They want you to send it to a authorized service center, but they don't want to be bothered with something like a cordless screwdriver. its more expensive than some cordless drills. 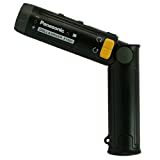 You would think Panasonic would give it more consideration when it comes to service, especially because it is usually only bought by professionals that buy high end tools such as this. I use this tool for electronics assembly, mostly computers. What sets this model apart from 98% of the rest is the electronic clutch. Unlike the mechanical clutches on other tools, its action does not vary based on how hard you push on the screw. That means you can achieve more reliable torque settings and can work on more delicate assemblies. Further more it doesn't make that awful ratcheting sound when the clutch engages. The Makita 6705DW also has electronic clutch, but its form is too large and its handle does not articulate into a pistol grip. Sadly, this is the best lightweight inline cordless screwdriver I could find. To be perfect this tool needs five things. First, a carry case. None is included or available. Second, a modern battery. This tool uses nickel cadmium batteries, which are large (relatively) and suffer from memory effects. Any high performance cordless device should have nickel metal hydride or lithium ion batteries, which could make this tool smaller, lighter, and give improved battery life. Third, I want a screwdriver that has continuously variable speed like that is common on many cordless drills (but not screwdrivers).This tool is just on or off, in high or low gear. Fourth, and minor, it comes with only 2 philips head bits. Strangely, no slotted bits (or any other bits at all) are included. Fifth, it should have a compartment that would accommodate 1 or 2 bits on board the tool like many cordless drills do. This tool is the best available but it's not the tool I wanted to buy and was willing to pay for. 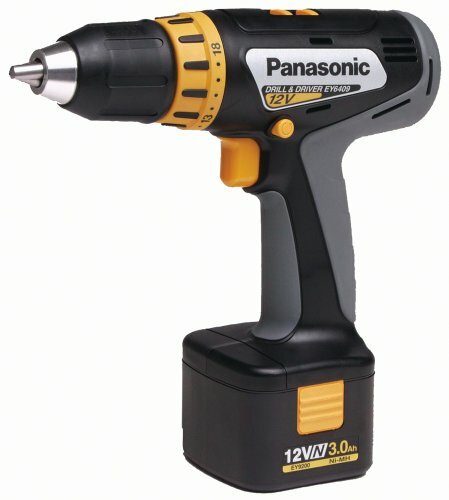 Big fan of panasonic cordless tools.. this is my 3rd. I was having a problem countersinking big screws into hardwood or cement board so based on some advice picked up this tool.. It took over where my very powerful 15.6 left off.. taking 3" screws that were stripped and wouldn't go in and countersinking them no problemo... the impact nature makes it less likely to break screws like the 15.6 does occasionally... I actually put a 3" screw about 1" countersunk into a FIR stud just testing out the capabilities. Quite literally it will keep driving most screws 'til you let go of the trigger, so better use a dimple bit on softer material. caveat: i had a few minutes of buyers remorse when i first used it as it is QUITE loud.. make no mistake when this is working your house is 'under construction'.. however you do get quite used to it, it's definiately worse as a bystander. I would rate it 4 1/2 stars for the one major problem: non standard chuck... argh on panasonic.. why why why? the solution to fix it is to put a slug of 1/4 hex cut off an old bit shank into the chuck or perhaps a couple #4 hex nuts (if that's what is 1/4"). .makes for easier removal if necessary... anyhow they did it so the double-headed bit that comes with fits nicer but makes NORMAL quick bits jam... and i have yet to find any bits whatsover including from panasonic that match the groove for the double headed quick bit that comes with. The charger that comes with is awesome because it works up to 18V batts... i can bring one charger and all my tools someplace and can charge my drill, my impact or my saw no need for 3 chargers. Until the torque load gets high enough it operates just like a drill, so small bits and small screws work great just like your drill and pretty much silent. Just as good as it looks!! The 2.4V wireless panasonic driver made my job easy and don't worry about the 2.4V, which must be proven to be more powerful than you expect. It was perfectly working for my tedious boring job at home. If anyone who interested in electric tool for hobby or whatever, try to own it. You are not going to be disappointed. You will like it. I have used this driver for the last eight years as well as some others on the market, nothing will beat this unit. I am on my third driver now, not bad considering that I use this driver literally at least a dozen times a day. I use it in my work as a major appliance tech., I would recomend this driver without any reservations at all!! I've owned my Panasonic 2.4v screwdriver for about ten years, albeit unused for the past 5 or so due to lack of fresh NiCd batteries. Anyway, the EY503B was the best lightweight cordless screwdriver you could buy back around 1991, two speed with torque clutch. I used it professionally daily back then and it's versatility and performance always made my job easier. I recently bought fresh batteries and look forward to putting it back into my tool bag. I have owned this tool for about 6 years, and my only complaint is that I've used it so much that I need a new battery for it, and I'm having trouble finding one. Make sure you get at least two or even three batteries for it. You'll be amazed at how much work you can do with this tool. This was the first battery-powered tool I ever bought, and although I now have a more powerful cordless drill for bigger jobs, I still come back to this one time and again for small jobs. It is light weight and its ability to bend in the middle make it work in almost any circumstance and give it great balance. It takes up almost no space in the kitchen drawer. Finally, a convenient source for these batteries!